This little bird is one of my favorites from Unity, it is called Swagger. I love this little guy along with the cute little sentiments in the set. Here is another tag turned card project. I used the Sunburst thinlit for the background. 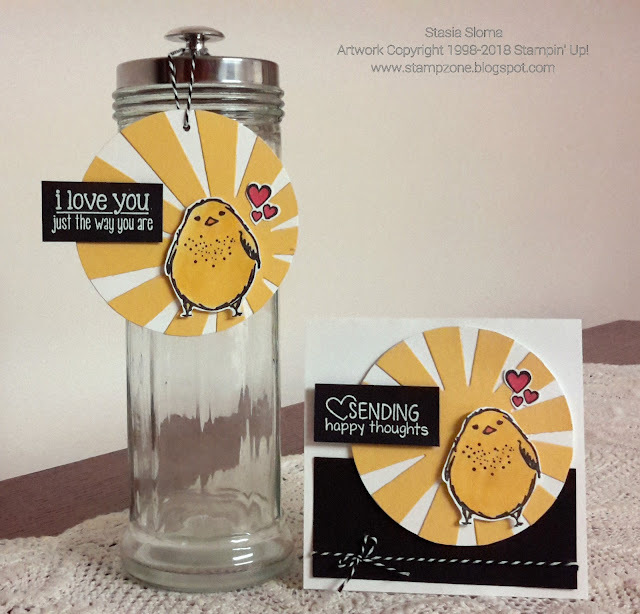 I colored in the bird with my Stampin' Blends.